Mark Toland is a seasoned medical device veteran with over 20 years’ experience. Prior to joining Corindus, he served as Senior Vice President of Boston Scientific (BSC) where he led BSC's growth and market-innovation initiatives; directly managing corporate sales, marketing, commercial operations, and global solutions. Previously, Mark led BSC's Interventional Cardiology, Cardiac Rhythm Management, Peripheral Interventions, and Electrophysiology divisions, overseeing 2,000+ employees in sales, commercial operations, and customer service. In this role, Mark was accountable for over $4B in revenue and helped lead the integration efforts of key acquisitions, such as Guidant Corporation, Cameron Health (S-ICD), Bridgepoint Medical (CTO), and Watchman (LAAC) that has helped propel the company back to growth. Mark serves on numerous industry boards and has been a faculty member/speaker at numerous medical conferences. Mark holds a Bachelor of Business Administration and Marketing from the University of Louisville. J. Aaron Grantham, MD is a practicing Interventional Cardiologist with Saint Luke's Mid America Heart Institute, a member of Saint Luke's Health System. 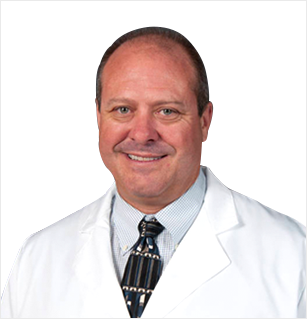 Dr. Grantham is an Associate Professor at the University of Missouri-Kansas City School of Medicine, Director of the school's Cardiovascular Disease Fellowship Program, and Director of Cardiovascular Medical Education at Saint Luke's Hospital. He brings his experience as an innovator in the treatment of chronic total occlusions (CTOs) to his role as CMO for Corindus where he is leading efforts to develop clinical data to advance the CorPath System's applicability for additional clinical indications. Dr. Grantham earned his Doctor of Medicine at the University of Kansas in 1991 and continued at University of Kansas for his Internal Medicine Residency. Following residency, he completed fellowship training in Cardiovascular Disease and Interventional Cardiology at the Mayo Graduate School of Medicine, Rochester, Minnesota. David Long is an experienced finance leader with over 20 years of global experience. David joined Corindus in September 2011 after more than 7 years at Thermo Fisher Scientific where he served as the Vice President of Finance for their Laboratory Equipment Division and Vice President of Finance for the combined Laboratory Equipment and Laboratory Workstations businesses. Prior to then, David held a variety of financial management roles at PPG Industries, Polaroid Corporation, and International Rectifier. David has also served as an Adjunct Professor in the Department of Accountancy at Bentley University. He holds a Master of Public Administration from the University of Pennsylvania and a Bachelor of Science in Finance from the University of Massachusetts. Doug is a forward-thinking Medical Device Executive with a 20+ year track record of driving operational excellence for research & product development organizations. He has contributed millions to top- and bottom-line growth of companies through operational performance improvement and implementation of emerging and disruptive technologies. Since joining Corindus in 2016, Doug has transformed the organization into a fast-growing, healthcare robotics company aimed at disrupting the current care model for stroke and heart attack. He has positioned Corindus as the global leader in vascular robotics though development of a second-generation robotic system and advanced capabilities in procedural automation and telerobotics. Under Doug’s leadership in 2018, Corindus completed the world’s first-in-human remote robotic interventional heart procedure. Prior to joining Corindus, Doug served as Vice President in Boston Scientific’s development organization, responsible for strategy and operations of its global clinical and preclinical research functions. During his tenure at Boston Scientific, Doug played a key role in returning the company to profitability and growth. He accelerated pivotal development programs such as the Promus Element™ Stent and Lotus™ Valve TAVI System and improved operations for multiple large-scale laboratory and research facilities. Doug holds Master of Science and Bachelor’s degree from Purdue University and served as an Engineer in the United States Army Reserves. Matt Lemay brings over 20 years of experience in medical device sales to Corindus. Prior to joining the company, he held various management roles for Johnson & Johnson, DepuySynthes Orthopedics and CR BARD. Prior to assuming the role of Vice President of International, Matt began his career at Corindus in June 2016 as the Director of Strategic Development and Director of US Clinical Sales. He brings a broad depth of selling, management, and international experience to his role as well as a passion for culture, developing new markets, and helping physicians and patients. Before entering the medical device space, he began his career in sales and advertising for the NHL’s Tampa Bay Lightning Hockey Team. He holds a bachelor’s in business management and international business from Eckerd College. Nora Dutta brings 19 years of human resources experience including organizational development, strategy, recruiting, and employee relations, joining Corindus from AMAG Pharmaceuticals where she served as Senior Director of Human Resources. In that role, Nora provided strategic leadership on a transformational acquisition, was a member of the senior management team for its Hematology and Oncology Division and lead AMAG's Human Resources Operations and Recruitment functions. Previously, Nora served as a Strategic Human Resources Business Partner to the Global Strategy, Marketing and Business Services functions at Boston Scientific. She was also a key team member on numerous acquisitions and strategic business initiatives over her 8-year tenure with Boston Scientific. John Van Vleet began his career in biomedical devices at Bristol Myers-Squibb (Zimmer) 30 years ago. Following this, he spent over 10 years with DePuy/Johnson & Johnson, followed by Smith & Nephew before moving to the vascular arena as Vice President of Regulatory Affairs and Clinical Programs for Bard Peripheral Vascular, Inc. where he remained for 10 years. John earned his Bachelor of Science from Purdue University, is a licensed Medical Technologist, and holds a Master of Science from Marion College. Aquilla S. Turk, DO is a practicing physician with Greenville Health System in Greenville, SC. He previously served as Director of the Stroke and Cerebrovascular Program, Director of the Neuroendovascular Program, and Professor with a joint appointment in the Departments of Radiology and Neurosurgery at the Medical University of South Carolina in Charleston, SC. As CMO for Neuroendovascular, Dr. Turk will spearhead the company’s clinical initiatives and expand robotic treatment into neurovascular procedures, specifically targeting acute ischemic stroke. Dr. Turk earned his Doctor of Osteopathic Medicine at Nova Southeastern University College of Osteopathic Medicine and continued to the University of Wisconsin and Cleveland Clinic for his Residency. Following residency, he completed fellowship training at the University of Wisconsin. He is board certified in Diagnostic Radiology and Neuroradiology. Bryan McDonough brings 15 years of experience in the medical device industry to his role as Vice President of Sales for the United States. Prior to joining Corindus he held multiple positions at Boston Scientific Corporation, most recently serving as Area Vice President of Corporate Accounts. Prior to Boston Scientific, Bryan held Senior Leadership Roles with leading Consumer Products Companies to include GM/VP Eastman Kodak and Coca-Cola USA where he was responsible for Walmart US Sales. He received his Bachelor of Business and his Master of Business Administration from the University of Georgia in Athens, GA.